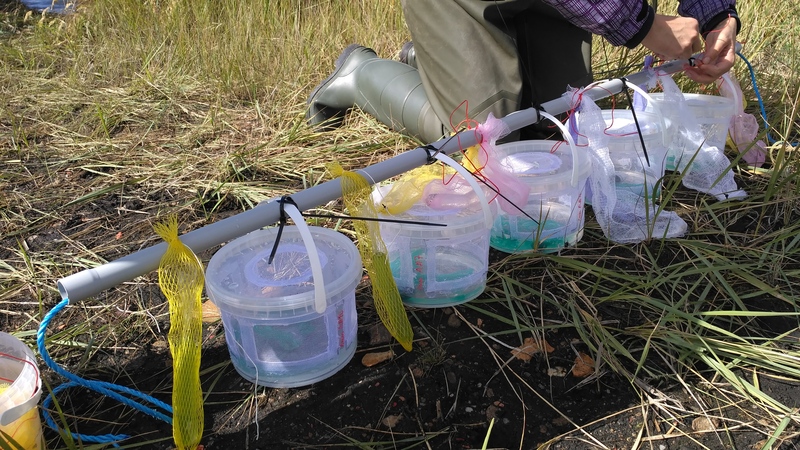 We started the next part of our “post-industrial waters project” – an experimental transplant of selected organisms among fly ash deposits and post-mining sites. By moving selected species of arthropods and communities of algea among freshwater bodies, we want to explore how they flourish under differing levels of heavy metal pollution. Andrea Landeira-Dabarca from David Boukal’s group is responsible for these experiments and she has prepared the first pilot trial with zygopteran larvae, and both natural and laboratory communities of algea. Two weeks ago, the experimental cages (notice how carefully these were prepared by Andrea) were installed by the research team members. Andrea and Vojta Kolar have checked part of the algea transplants last week, it seems to work. We are going to check and collect all remaining cages in the coming week, a lot of curiosity and excitement how they work! Our short note on competition between two abundant species of eusocial bees, Apis mellifera (honeybee) and Meliplebeia ogouensis, in the Bamenda Highlands, Cameroon, has just been published in the Sociobiology journal. Whilst studying foraging patterns of the twoo bee species, we observed relatively high partitioning of visited flowers among the two species. Both species are considered as generalists, but at least in the short term their floral preferences are specialised and almost do not overlap. However, these preferences change phenologically, as well well as inter-anually. Full citation: Tropek R., Padyšáková E., Janeček Š. 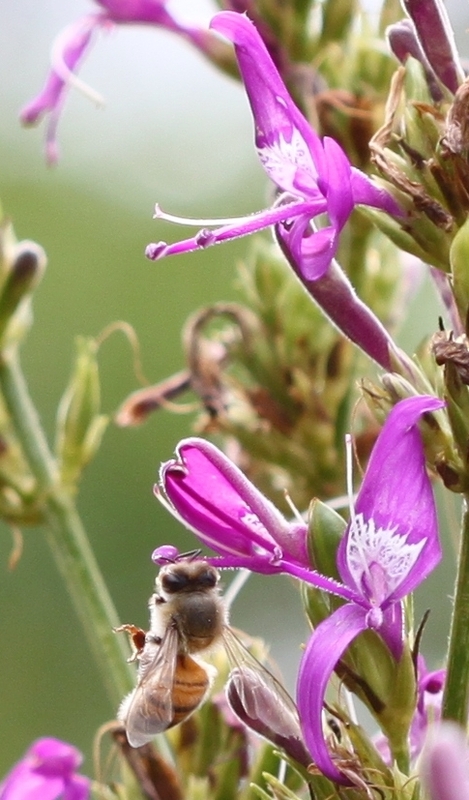 (2018) Floral resources partitioning by two co-occurring eusocial bees in an Afromontane landscape. Sociobiology 65: 527-530. 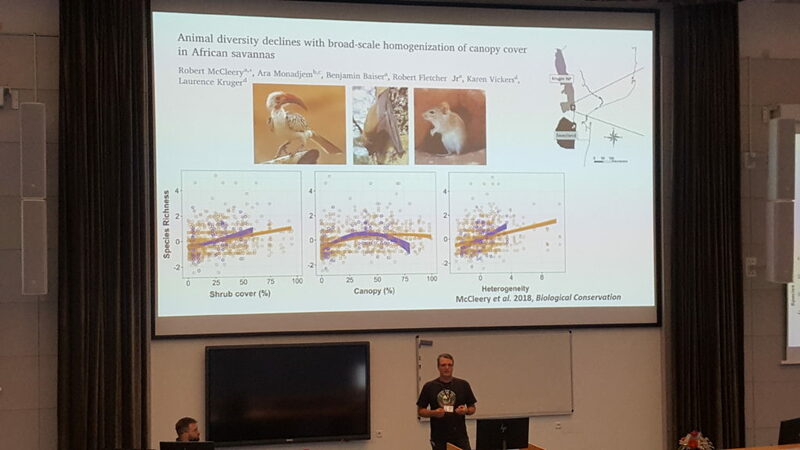 Last week, Rob, Hernani, Vincent, Lucka and Yannick attended the 5th Global Biodiversity Conservation Conference held at the Czech University of Life Sciences in Prague-Suchdol. Rob was invited to give a talk entitled Vanishing keystones? How poaching of large mammals influences tropical biodiversity. In his talk he highlighted the importance of elephants and other large herbivores in shaping other communities, including plants and animals. He included recent results from our case study on Cameroonian forest elephants and their influence on Lepidopteran communities. These results were further highlighted in a poster presented by Vincent. Additionally, Lucka presented her thesis research on the influence of military disturbances on arthropod communities in the Brdy Mts. It has been a fruitful conservation conference with not only scientific contributions, but also practical experiences from conservationists. Robert giving his talk on the importance of large herbivores for biodiversity. Vincent has just come back from a week visit at the Centre for Nature Education, Jagiellonian University in Krakow. He has finished sorting and identification of moths for another chapter of his PhD thesis exploring the effects of natural disturbances by forest elephants on rainforest biodiversity of Mount Cameroon. 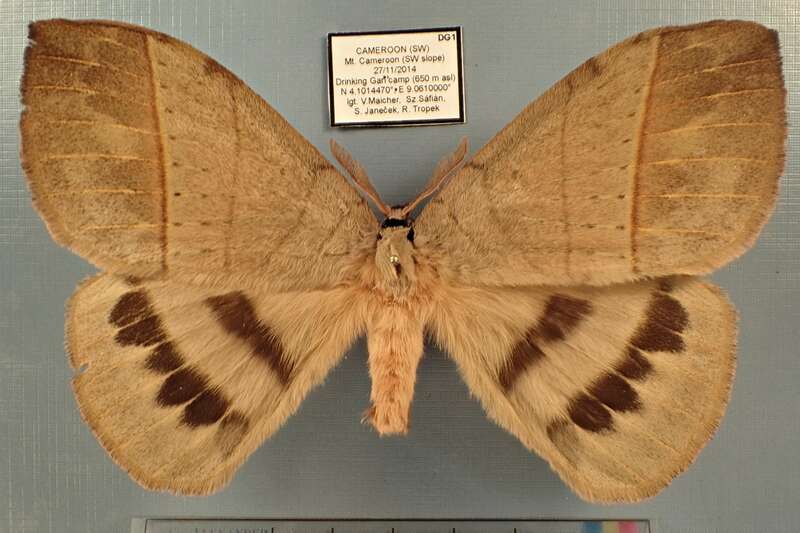 In total, he identified over 1,493 moth specimens from the plots not-affected by elephants. Now, he is analysing the data for the next week Global Biodiversity Conservation Conference 2018 in Prague. Few days ago, Štěpán, Jan, Hernani and Karolína came back from the field expedition on Mount Cameroon. Although all the difficulties with heavy rains, as well as the difficult political situation in the regions, they have succeeded in the data collection bringing over 300 new recordings of flower visitors. Altogether, after all expeditions we are almost reaching 3.5 years of video recordings. Fortunately, most of it is already processed and we will do our best to have the final dataset by the end of 2018. We are really looking forward to see what brave pollinators can visit flowers in the extreme rain season. Most of the research team just after coming back from six weeks spent in the forest. 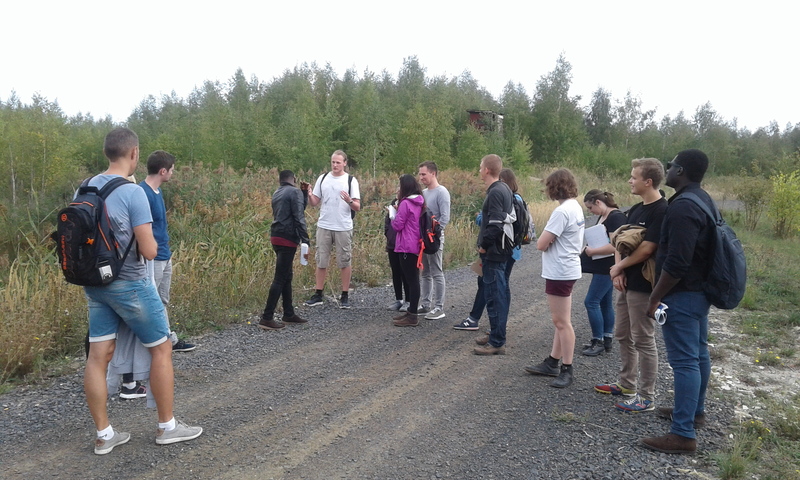 On Wednesday, Robert and our former successful student Filip Tichánek led an excursion for students from the Sustainable Management of Pollution Programme, ISA Lille, France. We took them to the fly ash deposits of Prunéřov and Tušimice power plants to present how these (post)industrial localities look like and how they can be restored. Subsequently, we walked also though the Radovesicka spoil heap, one of the largest heap of spoil after brown coal mining in Central Europe where we have presented restoration of habitats on much larger scales. Besides the potential of these sites restoration for conservation of biodiversity, we have discussed also socio-economical aspects of the restoration practice. In November, Rob will continue in this topic during his lectures for the students in Lille. 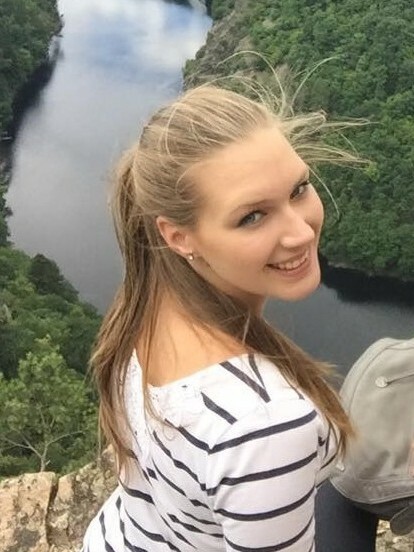 On Tuesday, Lucka Palivcová has successfully defended her MSc. thesis entitled “Influence of military disturbances on succession of arthropod communities in the Brdy Mts.” With the help of several other members of our group, she sampled a large material on seven groups of terrestrial arthropods occuring in plots with different intensity of previous disturbances by fires, grenades and other military-caused disturbances. Her results will be surely useful in conservation of biodiversity of abandoned military training areas. A day earlier, she passed also her final exam and we thus congrutulate her to become a Master of Science, the third one after our group establishment! Vincent is now gradually finalizing his first “big manuscript” analyzing biodiversity of butterflies and moths along the altitudinal gradient of Mount Cameroon. During this process, he has also counted and quantified some values evidencing the huge effort we have invested into the project. Here are some of them: Altogether, fruit-feeding Lepidoptera were sampled during 16,800 trap/days, whilst night active moths were collected during 126 full nights, i.e. 1,512 hours of active collecting of moths attracted by light. For the traps baiting, we have used over 4 tons of bananas. The generators (altogether, we have used 7 generators, from which 4 have already malfunctioned) running the lights consumed over 1,000 liters of petrol. 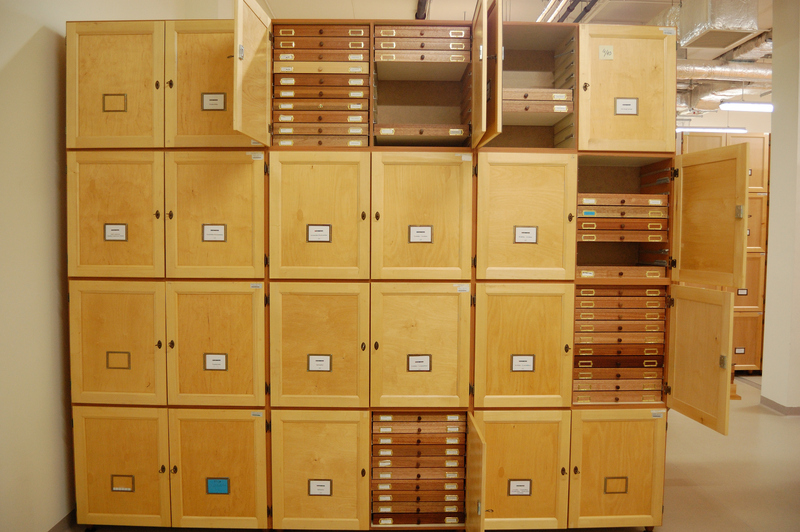 This effort has brought 42,816 specimens identified to 1,112 species; these numbers will substantially grow once the sampled geometrids will be processed as well. The question how much rice and Lion d’Or whiskey have been consumed will most probably remain unanswered. Eliška awarded by Peter Ashton Prize! 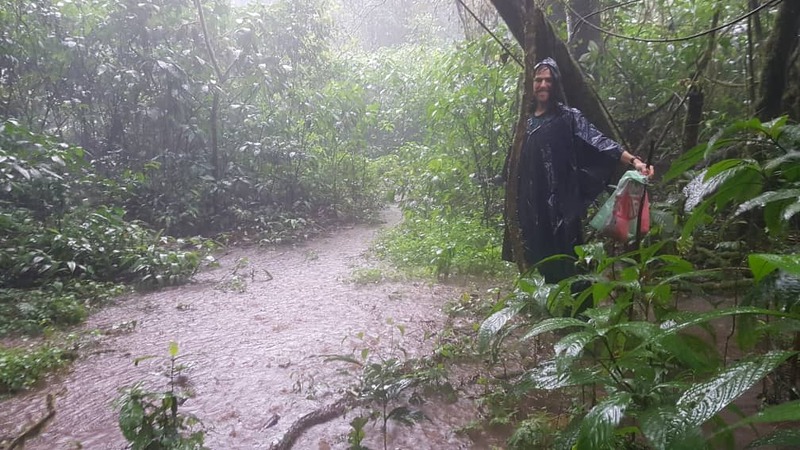 Eliška Padyšáková from our group has been honored by the prestigious Peter Ashton Prize, the award of Association for Tropical Biology and Conservation to the best article written by a student published in the scientific journal Biotropica. 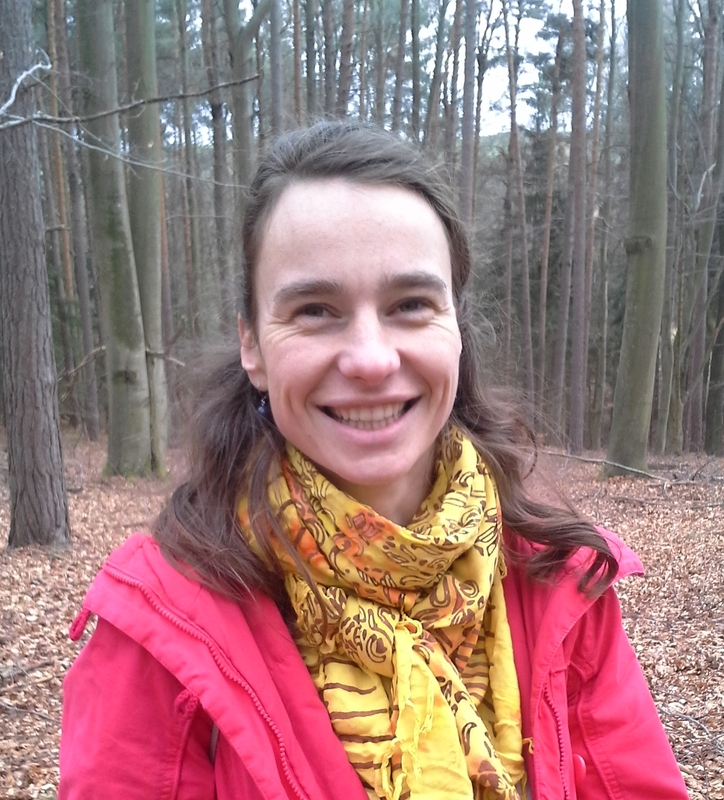 Eliška was awarded for the research article “Sunbird hovering behavior is determined by both the forager and resource plant” originated from her Ph.D. thesis under supervision of Štěpán Janeček. They evidenced at least some sunbirds resemble hummingbirds on some behavioral adaptations of highly specialised hovering during nectar feeding. The award announcement, together with Eliška’s long commentary, is available here. Congratulations to Eliška!